Ruben Taylor, age 92, of Olathe, Kansas, passed away on October 1, 2016 at Villa Saint Francis. He was born on February 27, 1924 in Fortson, Georgia to Dora Mae (Cannon) Taylor and Albert Bert Taylor. Ruben was preceded in death by his mother, Dora Mae (Taylor) Gordon, and his father, Albert Bert Taylor, along with his step father, John Robert Gordon, his brother, William A. Taylor, and his sister, Zadie Mae Perrin- all of Fortson, Georgia. Ruben married his beloved Mary Eva Primm from Olathe, Kansas, on September 6, 1949. Ruben was a WWII Navy Veteran. He was on the USS Ticonderoga during the surrender of Japan in Tokyo Bay. Ruben retired as a USN Chief Petty Office in 1962 after 20 years of service. He relocated to Olathe, Kansas, where he returned to school and graduated from JCCC to begin his career as a respiratory therapist at St Luke’s Hospital in KCMO. He retired in 1989. Survivors include his two sons, Albert (Jan) Taylor and Carl (Gayla) Taylor, numerous grandchildren, great grandchildren, great great grandchildren, nieces and nephews. Ruben was a lifetime mason, a Grand Master of the Olathe Lodge, and a fifty year member of the Eastern Star. 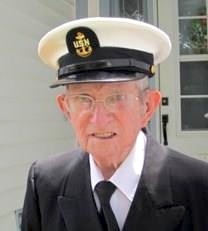 He was a life member of American Legion and Member of the Mo-Kan Fleet Reserve Association. Ruben and Mary Eva are members of the Olathe Running Club. They competed in the KC area and the National Senior Olympics, receiving numerous awards and medals. Ruben last competed in the 2011 National Senior Olympics, where he won a Silver Medal in the 10k road race. He was awarded the Haefele Memorial Award in 2012 for Outstanding Kansas Athlete of the year in Track & Field Events. Ruben loved the Lord Jesus Christ and was an active member of the College Church of the Nazarene. He served there forty years as an usher.